Fun, social escorted golf tours & tournaments with a PGA Pro as your guide including tuition. Ideal for single golfers, couples and groups of friends. Non-golfers are also welcome and we will make sure they have an equally good time! 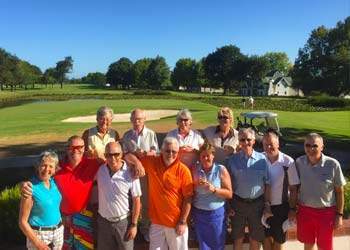 South African escorted golf tours are a real speciality and other golf group destinations include Mauritius, Spain, Mexico and Turkey tours. If you would like a golf cruise holiday on some of the world’s great waterways and get to stop off and play golf these cruises are perfect. 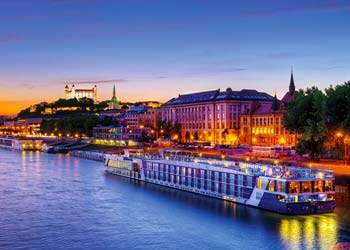 AmaWaterways ships are rated as the best on Europe’s Rivers and beyond. We are working with them to provide a wide range of golf cruises from European golf cruises down the Danube to exotic golf cruises down the Mekong. We give first hand advice because we’ve played the courses, enjoyed the cuisine and sampled the beer! Read about our staff trips all over the globe trying out the golf courses in Mauritius, South Africa, Mexico, Dubai, Abu Dhabi, USA, Thailand and many more. Let our golf holiday specialists share their knowledge and passion! 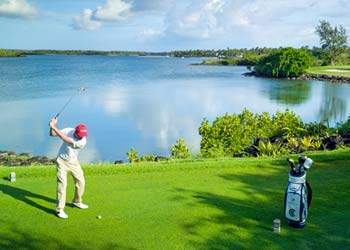 We are the world’s leading providers of Mauritius golf holidays and consider this to be the best golfing holiday available. With world class golf resorts like Constance Belle Mare Plage Golf Resort, Heritage Awali, Anahita, Heritage Telfair, Shangri La’s Le Touessrok Mauritius golf holidays are hard to beat! Discover world-class golf whilst staying in some great resorts in Cancun and Riviera Maya including Le Blanc, The Vine and Moon Palace. 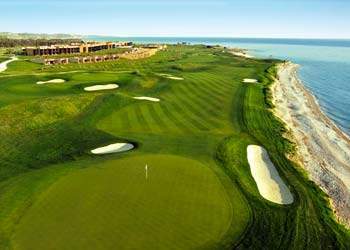 A Mexico golf holiday combines the best of Mexican culture with amazing beaches and superb golf courses. 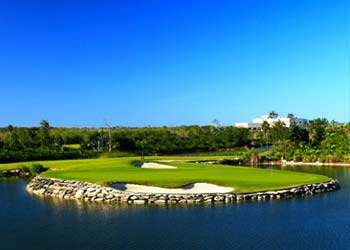 We have played golf in Cancun and can highly recommend it! 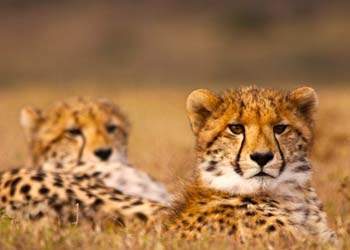 A South African golf holiday allows you to combine Cape Town, one of the world’s greatest cities, playing gol in the Cape Winelands, travelling down the Garden Route and playing golf at Fancourt as well as going on safari. 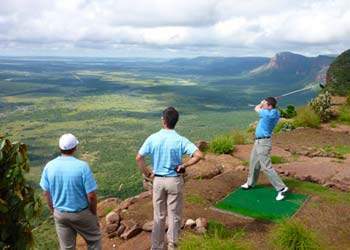 A South African golf holiday has it all and we have visited many times and have played some amazing courses. We can highly recommend a Sri Lanka golf holiday to those who want to have an exotic golfing adventure with superb golf courses, stunning scenery and fantastic safaris – this country really has it all. 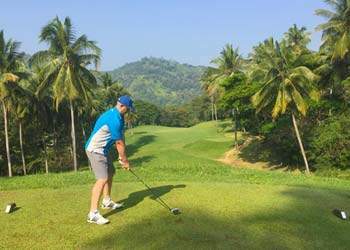 Mark & Jacques enjoyed their own Sri Lanka golf holiday which you can read all about and are excited to send golfers for their own spectacular Sri Lanka golf holiday. An American golf holiday can vary from beach and golf in Florida to desert golf in California, Nevada or Arizona or to playing iconic courses like Pebble Beach. 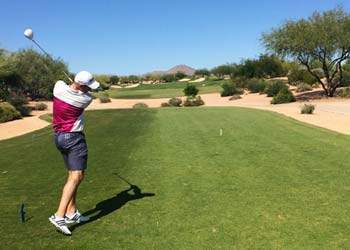 Desert golf breaks in Scottsdale and Palm Springs are a unique way to enjoy your USA golf travel. 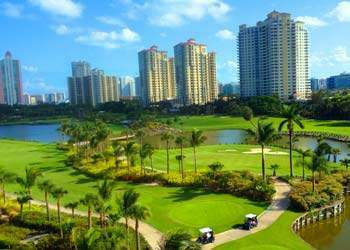 Our golf specialists will tailor a USA golf holiday to suit you. 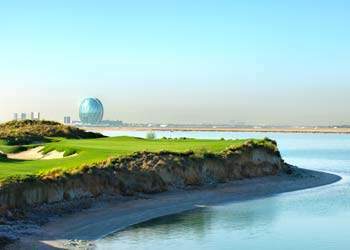 Abu Dhabi golf holidays offer 3 stunning courses; Saadiyat Beach Links, Yas Links and Abu Dhabi Golf Course plus many excellent resorts like Crowne Plaza Yas Island and the St. Regis Saadiyat Island. Having enjoyed golf in Abu Dhabi we look forward to using our experience to ensure your Abu Dhabi golf travel experience is perfect! 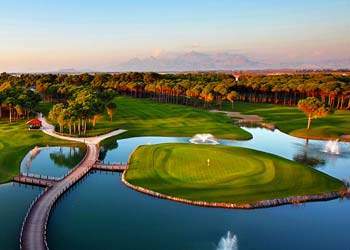 Morocco is one of the best-kept secrets in the golfing world, under 3 hours from the UK a Morocco golf holiday offers golf par excellence with impeccably groomed courses of distinction and immense variety. 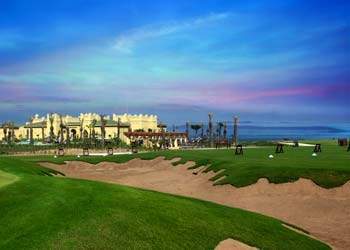 The historic cities of Marrakech, Fez, Rabat and Agadir all are superb locations for Morocco golf breaks. 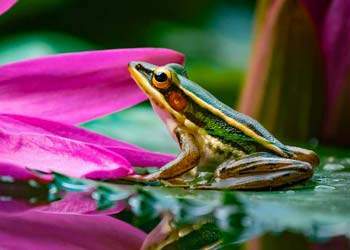 our golf travel to Thailand include the seaside resort of Hua Hin, Phuket golf holidays with Blue Canyon and Red Mountain courses, Pattaya golf holidays with pretty wild nightlife! The paradise island of Koh Samui with the amazing Santiburi Golf Club, is ideal for a Thailand golf and beach holiday. 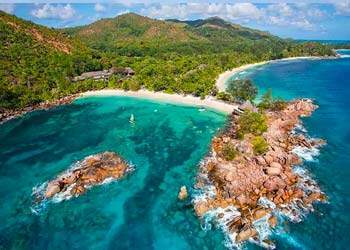 As the Indian Oceans leading golf holiday specialists we provide Seychelles golf breaks to the luxurious Constance Lémuria Resort. Sister hotel to Belle Mare Plage Golf Resort in Mauritius this is a superb 5-star luxury resort with free golf on an amazing 18 hole golf course that enjoys an idyllic location on the northwest coast of Praslin island. 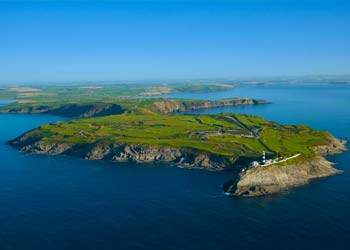 As we are based in Ireland we have played most courses and look forward to sharing our knowledge to enhance your Irish golf holiday. From a golf break in Dublin, Belfast or any other region we can assist you to play iconic courses like Royal County Down, Portmarnock, Doonbeg, Ballybunnion, Waterville and Killarney. Dubai golf breaks provide quality courses, luxury resorts and good weather. 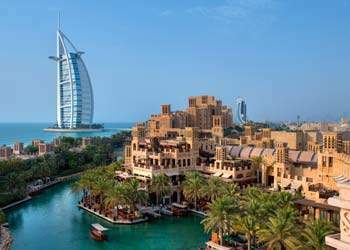 Superb hotels such the Burj, Jumeirah Beach and the Mina A Salam provide the perfect base for a Dubai golf holiday playing the world renowned courses like the Majlis at Emirates Golf Club, Dubai Creek and the Earth Course. 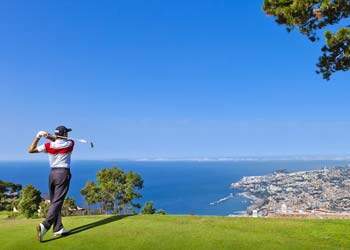 A Madeira golf holiday offers three very different courses; Santo de Serra, Palheiro and Porto Santo, the latter of which is located on the island of Porto Santo. Madeira golf breaks let you enjoy the picturesque islands, many excellent hotels and great restaurants. Your Madeira golf travel can combine the two islands. For a golf holiday in Italy you are spoilt for choice, some of the world’s most wonderful locations is a superb choice for golfing and offers excellent weather all year round. Needing only a short flight from the UK, Italy golf breaks are sure to become more and more popular now that the Ryder Cup is going to be played there. 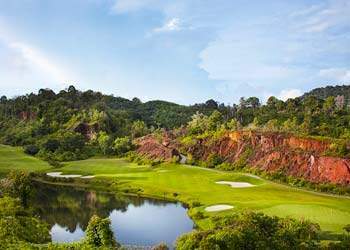 For your Malaysia golf travel we highly recommend the luxurious Datai resort and its superb course on Langkawi Island, the stunning courses of Malaysian Borneo and golf in the capital Kuala Lumpur. Manicured courses, palatial club houses, fantastic weather and many off course attractions makes a Malaysia golf holiday a must.